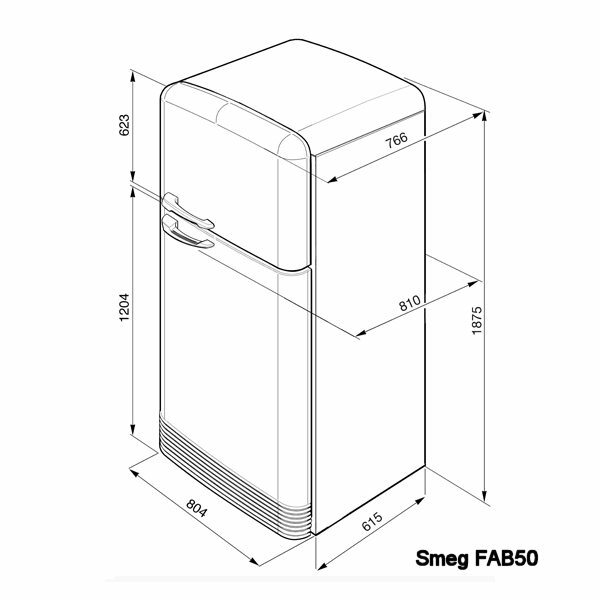 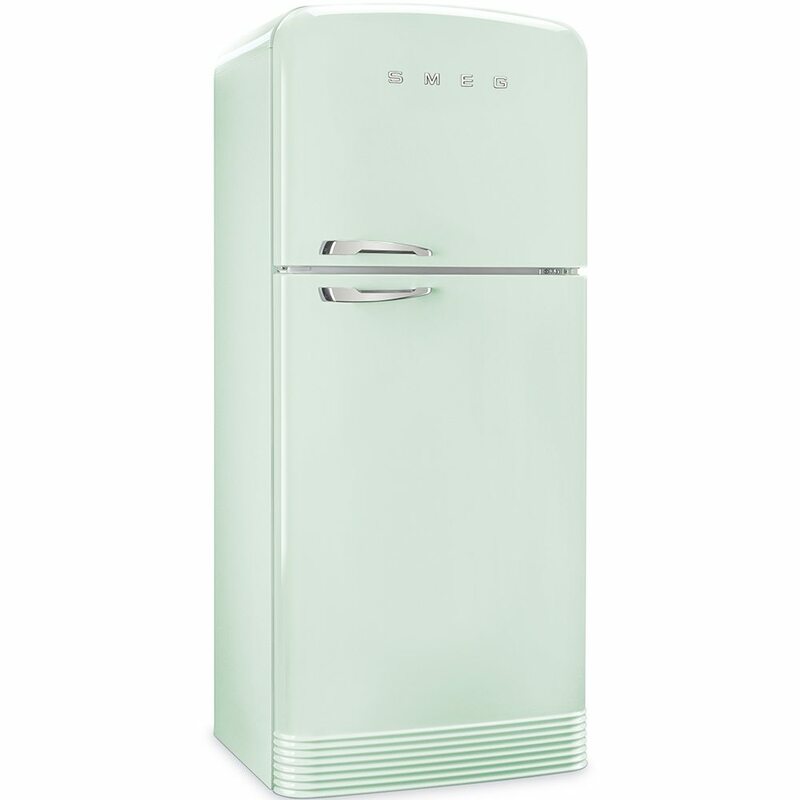 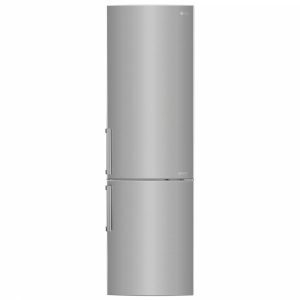 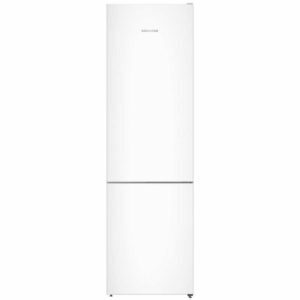 The superb pastel green FAB50 retro fridge freezer from Smeg is 80cm wide and 187cm tall. 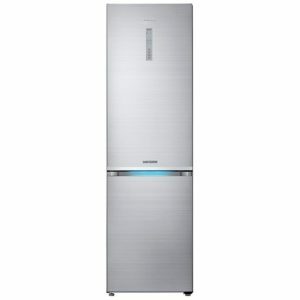 It has an A++ energy efficiency rating and boasts an impressive total net capacity of 412 litres. 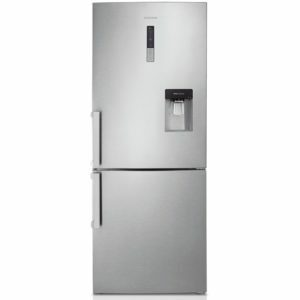 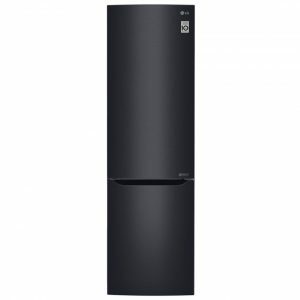 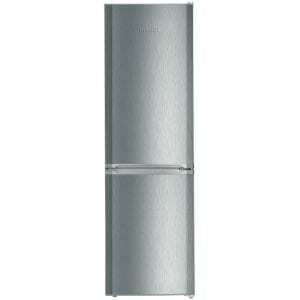 The frost free freezer features a handy twist ice maker and in door storage pockets for smaller items. 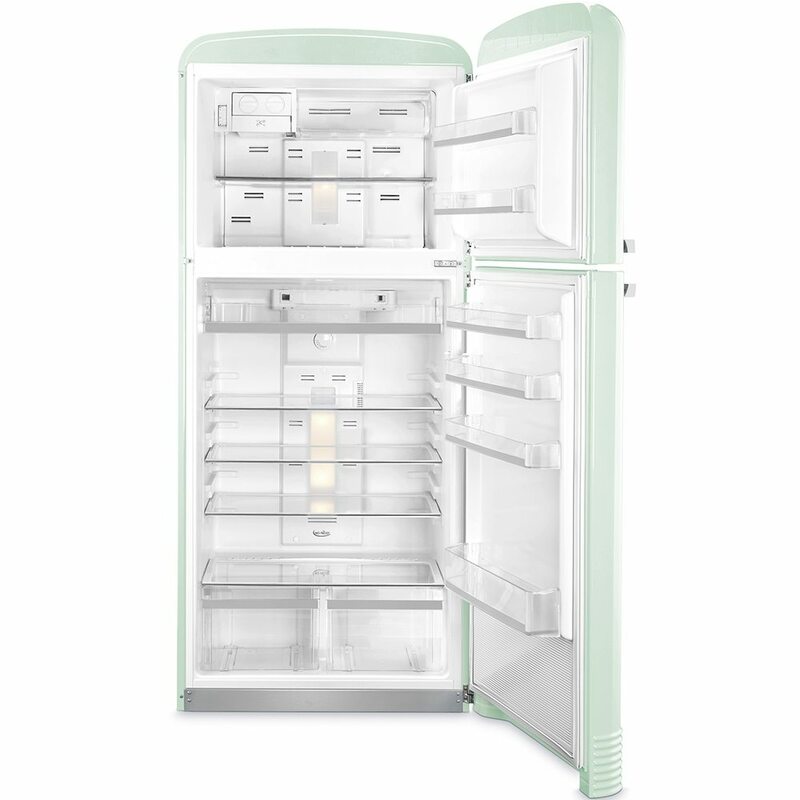 This model has right hinged doors.